French techno artist and DJ. Born: 13 June 1987 in Lyon, France. Gesaffelstein is the main recording alias of Mike Lévy. He has worked alongside and remixed tracks for such artists as varied as Tiga, Miss Kittin, ASAP Rocky, Lana Del Rey and Phoenix. He's also produced two tracks on album "Yeezus", the sixth album of US rapper Kanye West, including the lead single "Black Skinhead" and "Send It Up", both tracks produced with West, Daft Punk, Brodinski, and Mike Dean. Gesaffelstein released his debut album "Aleph", in progress since 2011, on 28 October 2013 under Parlophone Records and EMI Music. His remix of "Shockwave" by The Hacker is featured in the 2013 video game "Grand Theft Auto V", on the Soulwax FM radio station. Gesaffelstein is a portmanteau of Gesamtkunstwerk and Albert Einstein. From his early output where he was clearly inspired heavily by The Hacker, to his breakthrough material such as Variations, his remix of Shockwave (and of course the outstanding Aleph LP), Gesaffelstein is one hell of a talented artist. He can do pieces of sublime beauty, and likewise he can create absolute monsters that rip your head off. I'm surprised that he's been quiet since 2015. We need talent like his in the currently sterile dance scene. Do you love Combichrist? Do you love Infected Mushroom? If the answer to both those questions was yes, then you're in for a pleasant surprise here! 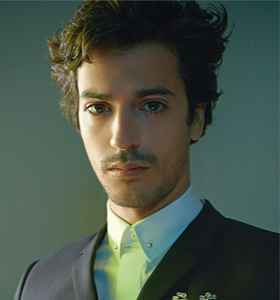 Welcome Gesaffelstein! I discovered this artist via some commercial that was certainly advertising something involving dirtbikes while I watched my Steelers make their way further into the playoffs. All I know is that I was chair-dancing to what I later found out was called Hate or Glory (thank you shazam) and I've been in love with everything I've heard from them ever since. I Like Gesaffelstein a lot. Its nice with some new blood into the electro/techno world. Todays electro is boring and todays techno nearly doesnt exist. Give us more Mike Levy! I will obey!